Why can't I download a report from the email? 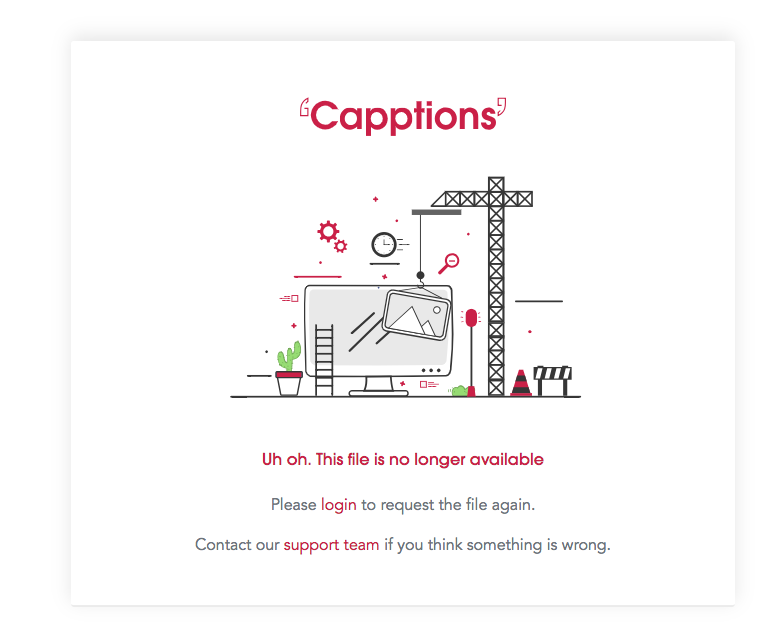 When you've completed a form, you'll receive the pdf and attached photos in minutes (which is awesome), but after a while (30 days to be more precisely) the download link isn't working anymore and you receive this message when you click the button or the URL. Don't worry, your data is still available in the platform.